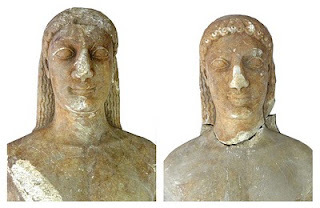 There is a suggestion that the kouroi were found at Tenea, not far from Corinth. The kouros now in Munich (Glytothek no. 168 [Richter no. 73]) was said to have been found there in 1846.